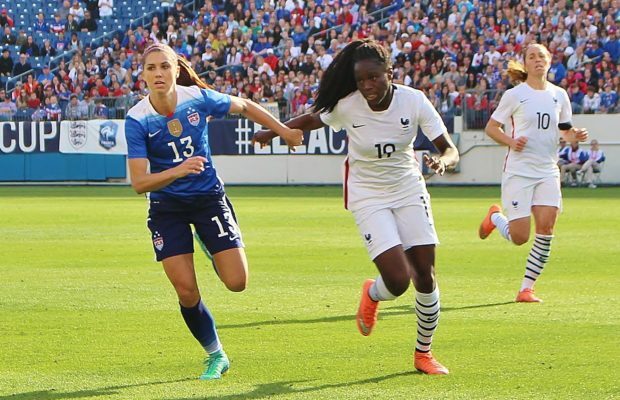 Alex Morgan made her debut with her new club, Olympique Lyonnais of the D1 Féminine league, in their 3-0 win over En Avant de Guingamp on Saturday, January 14. Morgan started the match and played until being subbed out in the 73rd minute. Although the American forward did not score in her debut, it was not for a lack of opportunity. Just minutes into the contest, Morgan took the opening shot on goal for Lyon, but Guingamp’s keeper Maryne Gignoux-Soulier made a kick-save to prevent her and Lyon from scoring. 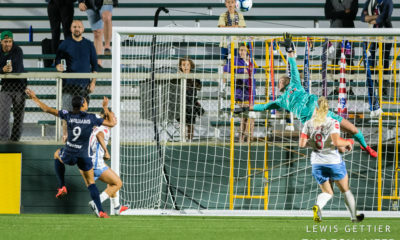 She then had another solid chance in the 8th minute when she sent a no-look header on frame, but the keeper managed to get a hand on it to knock the shot off its mark. 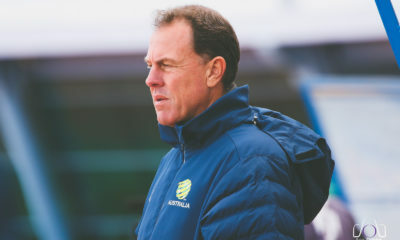 Although Eugénie Le Sommer scored the game winner for Lyon in the 20th minute, Morgan helped the French club extend its lead in the 26th minute when she sent a cross in to Le Sommer, who easily knocked the ball into the back of the net for a brace. 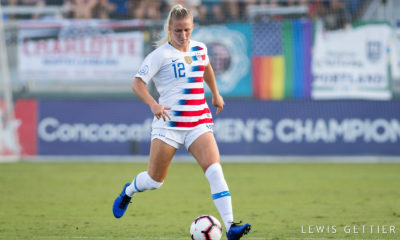 Morgan closed out the first half with another shot on goal in the 45th minute, but she was once again denied and the game went into halftime with Lyon leading 2-0. Morgan came out just as strong in the second half, eagerly looking for a goal of her own. 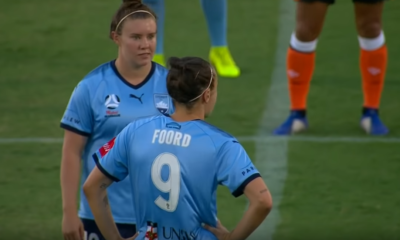 She had at least one more opportunity in the second half, sending a rocket on target that was stopped by Gignoux-Soulier with a brilliant diving save in the 59th minute. 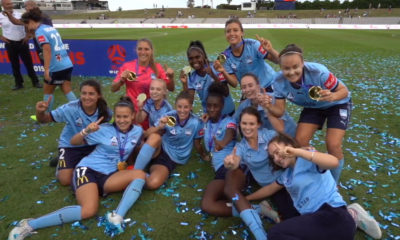 However, Morgan assisted on Lyon’s third goal in the 72nd minute, switching the field with a pass to Ada Hegerberg, who then moved the ball to the top left corner of the penalty box and blasted a low shot past Gignoux-Soulier for the final goal of the match. “It’s been a long time since I’ve played. I needed to stay focused but I couldn’t score. I needed to find my reflexes with my new teammates. That’s why it’s good to have been able to play with Eugenie and Ada up front, as well as with Camille and Dzenifer right behind me. 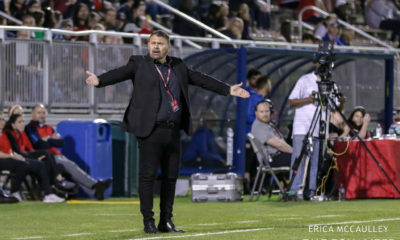 I’m happy to have been able to quickly adjust to my new teammates,” Morgan said after the match according to OL’s website (translated from French). With the win and Paris Saint-Germain’s 1-2 loss to Montpellier HSC on Saturday, Lyon now sits atop the D1 Féminine table. If Lyon continues its winning streak, the team can again lose to PSG, arguably its biggest competitor despite currently sitting third behind Montpellier, and still win the league title once more. Also making her Olympique Lyonnais debut was Canadian-international Kadeisha Buchanan, who played all 90 minutes for her new club. Although Morgan was in France to play this weekend, she is reported to arrive in California for USWNT January training camp on Monday.